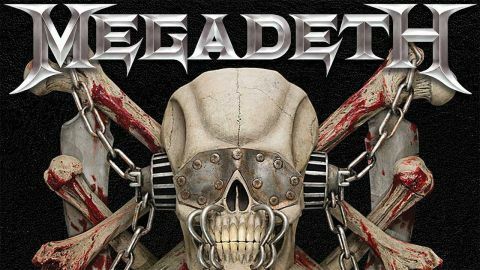 Emerging a couple of years after Metallica, Slayer and Anthrax had set the world buzzing with the radical new sound of thrash metal, Megadeth’s 1985 debut has always been easily overlooked. The rough production and cheap sleeve seemed to betoken a band in a mad rush to get their name out there; understandable, after Dave Mustaine’s unceremonious sacking from Metallica and subsequent vengeful urge to best his ex-bandmates. Also, Megadeth’s more profound and popular follow-up Peace Sells… But Who’s Buying? dropped a year later, forever overshadowing the ramshackle innocence of the debut… At least, until now. Previous reissues of this album have improved the amateurish production, but maybe went too far the other way, sounding unnaturally beefed-up and modernised. This is the Goldilocks edition; everything is just right. Fans of the late Gar Samuelson’s one-of-a-kind jazz-thrash drum performance might be distraught to hear that his explosive 80s snare has been tightened up and dialled down, but his extra levels of double-kick athleticism – especially evident towards the end of the audacious Mechanix – will take fresh breath away, Mustaine having woven bits of previously unheard alternate takes into the mix. Some are glaring, others more subtle, but the whole effect is of an album not just remixed but reborn, a living entity with new surprises to offer. The 1984 Last Rites demo is appended, plus there is a particularly nice touch: each album track performed live (except the goofy Nancy Sinatra cover), taken from rare recordings circa 1986-90, recently liberated from Megadave’s loft. As Mustaine’s opening cry of rage ushers in a volley of incisive, high-speed early tech-thrash classics with bags of character – Looking Down The Cross, the title track and the irresistible lovesong to headbanging, Rattlehead – delivered with piss and vinegar by a highly unorthodox, fearsomely talented band, we can finally give this debut the attention it deserves.